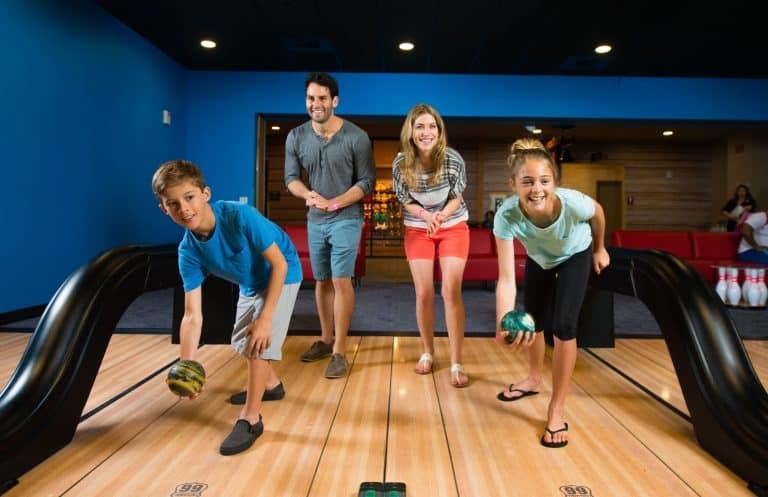 Great Wolf Lodge, with locations across the United States, is an amazing place for a family-friendly vacation. My family has now been to Great Wolf Lodge’s Southern California location twice; my kids ask to go back all the time and it remains one of their absolute favorite places to go on family getaway. But is it worth it for parents? Are there any tips on getting Great Wolf Lodge coupons or deals? What do you pack? How do you save your sanity? Lucky for you, we’ve got you covered. Here are our 25 Great Wolf Lodge tips for enjoying this water park getaway with your family. 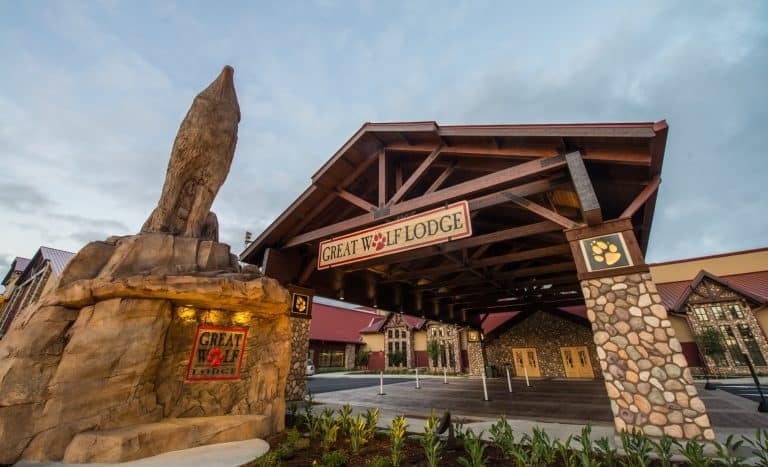 Great Wolf Lodge is actually pretty reasonable, especially considering families receive two days of water park access for a single night’s accommodation rate. But if the price-point seems a bit high for your family, don’t forget to look for discounts. Great Wolf Lodge is a regular on discount sites like Groupon (typically available during the off season) and their official site often features sales and bundled offers. Sign up for the Great Wolf Lodge coupons on their site to stay informed on select deals. Booking early can save families up to 50%! Great Wolf Lodge also offers a discount to all military, fire, emergency medical service personnel, police, and correctional officers through their Howling Heroes program! A valid ID must be presented at check in and the promo code HEROES should be entered when making a reservation. 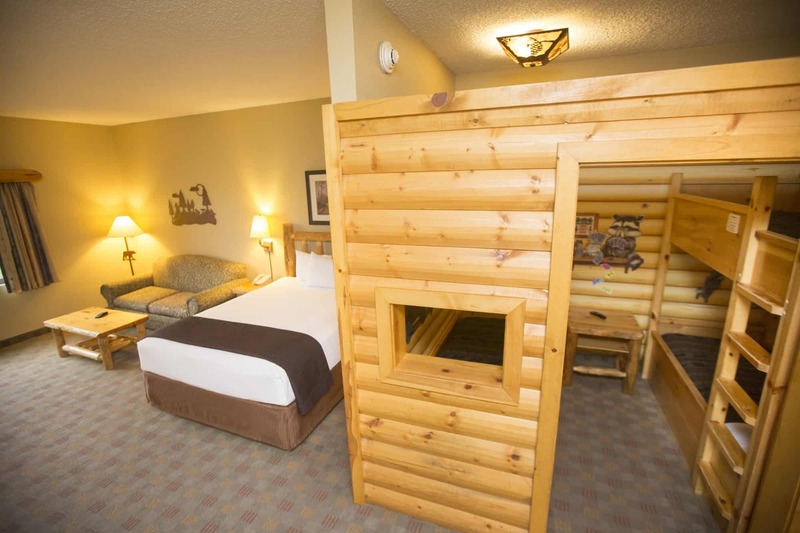 One of the most exciting features about the accommodations at Great Wolf Lodge, especially for large families, is that their rooms fit up to eight people! Hurray! Base room rates include water park access for all occupants. The resort offers four types or rooms, all with different base and max occupants: Standard Family Suites (base 4, max 6), themed Wolf Den Suites (base 4, max 6), themed Kids Cabin Suites (base 5, max 7), and Grand Bear Suites (base 6, max 8) that are perfect for multigen families traveling with grandparents in tow. 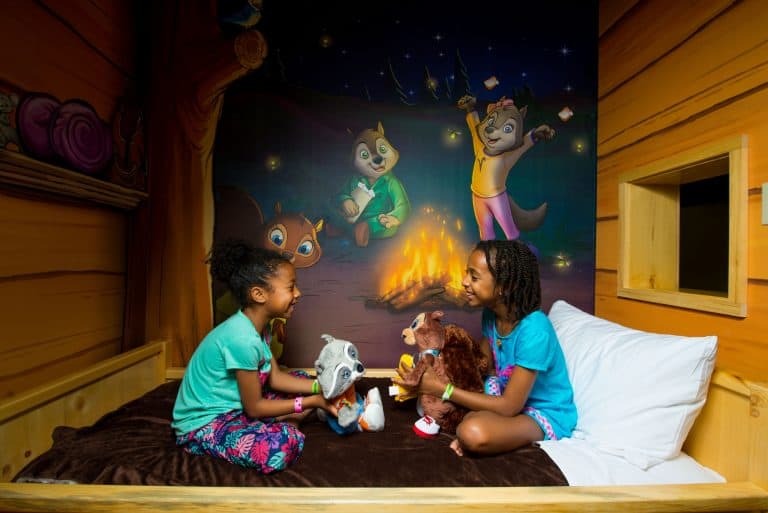 Although your family will likely only need one room while staying at Great Wolf Lodge, you do have some options for upgrades that should be considered in advance. The Wolf Den and Kid Cabin suites are adorable and your kids will love having their own space to spread out while engaging in the themed interactions. Parents should know that there is no physical separation between the kids and adult sleeping areas, although kids do have their own YouTube enabled TV to watch from the kid beds. 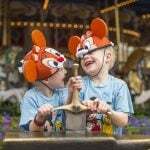 To get the full themed-suite experience, these rooms “come to life” with a wave of a MagiQuest wand or presence of a Clubhouse Crew stuffed animal. Without these purchased upgrades, the rooms remain themed, but standard. Parents also should know that you cannot “turn off” the themed interactions. Keeping the wands/critters far away from the theme (in the corner of the room) seemed to help. New for 2018: Kids can enjoy fun, fort-building kits, delivered in room. Pro Tip: Ask for a room on an upper level facing the Great Wolf Lodge parking garage so that you can watch the Disneyland fireworks from your room. Towels. Waterpark towels are plentiful, dry, free, and easy to grab. Flotation devices. The park provides these safety devices, which actually must be worn on certain attractions by smaller guests. Fancy clothes. Unless you plan on leaving the property to head to a fine-dining experience, you don’t need to pack anything fancy. The most luxe dining on property does have a no-swimwear rule, but shorts and a T-shirt are always appropriate. Sunscreen & Sunglasses. Unless you plan on spending a significant amount of time in the outdoor pool area, you won’t need sunscreen or glasses. Hats. I love wearing hats at the beach or a pool. But indoors, at Great Wolf Lodge, it just sat on the table waiting to be used. Bathing suit cover ups. These make it super easy to go from room to water park to resort activities/meals. Athletic shoes if your Great Wolf Property has a ropes course (SoCal does not). Snacks to keep in your room (outside food cannot be brought into the water park). Waterproof phone case. Cases come in handy for taking pictures, videos, and staying in touch with family while in the pools. These are sold on property as well. Headphones. If you want to enjoy a book/quiet time while your kids are playing in the water park, you’ll need headphones for white noise or peaceful music. The water park is quite noisy. A Pool Bag. Since you can start playing at the water park on check-in day, having a “swim bag” with all of your swimming suits and necessities will help you easily visit the water park without unfolding your entire trip bag in the lobby. This same bag can be used on check-out day, when you can stay in the park until it closes. Don’t forget to fill this bag with underwear and dry clothes before heading out of your room at check out. Guests can gain access to the water park as early as 1 pm on the day of check-in and enjoy the water park until closing time on the day of check out. This feature really allows families to maximize their water park experience. Most families are in on the “check in early” secret, so lines can be long. 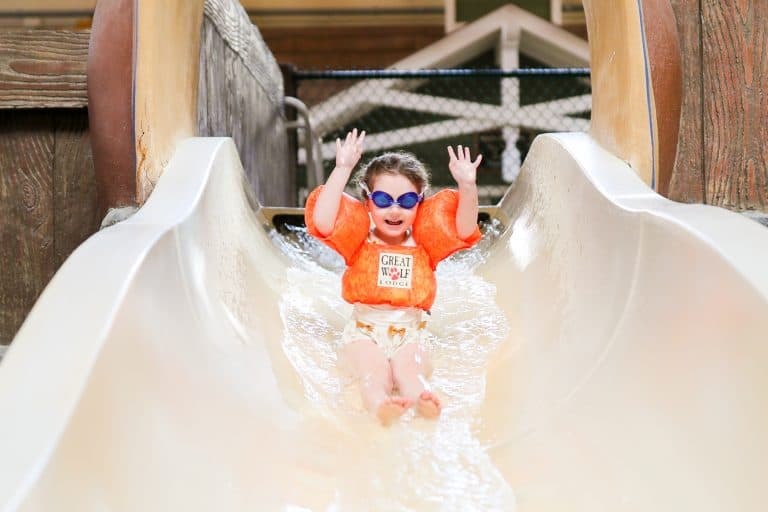 Great Wolf Lodge anticipates this and offers activities in the lobby throughout the day, especially from 1pm-5pm when most families arrive at the park. From lobby Bingo to story time, crafts, and more, there is typically a “distraction” for kids while one parent waits in the check-in line. Tots will enjoy the zero-entry water play at Cub Paw Pool and parents will be thrilled to know this area is completely fenced in and has a magnetic safety latch to ensure little ones don’t wander off. Babies are required to wear swim diapers in the pools. These are sold on property, but bringing your own is a good idea. When children enter the water park for the first time a lifeguard will measure your child’s height and give them a wristband which determines which rides they are able to go on and which places shorter/younger children must wear a life jacket. Taking a quick “walking tour” of the water park is a good idea upon arrival. Parents can point out the lifeguards and bathrooms, remind children of instructions, and choose a meeting place in case anyone is lost. The park features a massive water play structure, Fort Mackenzie, which is the ideal place to splash without a pool. Water slides are everywhere from short slides for preschoolers to massive tube slides that take thrill-seekers on watery adventures. The Southern California location also featured a pool with water basketball and and obstacle course as well as wave rider where kids could boogie board or surf. Of course, no water park is complete without a lazy river and a wave pool, so Great Wolf has both. Although families are free to come and go (and should take breaks) while at the water park, be sure to set up camp each time you start your day. Kids need to easily be able to see mom and dad in a sea of other moms and dads. An ideal location is within view of the clock tower so everyone can keep an eye on the time. The official water park notices request that parents supervise their children constantly. It also reminds you that life jackets are not a replacement for parental supervision. That being said, Great Wolf Lodge takes water park safety seriously. There are always several lifeguards on duty at each attraction and the lifeguards are rotated frequently to prevent fatigue. The main draw of the Great Wolf Lodge is the water park, but there are lots of other things to do.The Southern California location features mini bowling, a kid-friendly spa, Creation Station (think Build-A-Bear with an interactive video game component), MagiQuest (an addictive live-action role playing game where kids use magic wands and solve clues by heading to various video portals around the resort), a large (and ticket generous) arcade, a fun laser game, an XD movie theater, glow golf, fun dance parties, the Forest Friends show, morning Wolf Walks, and nightly Story Time in the Grand Lobby. My kids played MagiQuest on this trip and I allotted about an hour for them to enjoy this game on check-out day. I since have learned that completing the entire series of games (there are more than one) can take about 9 hours of work! We spent nearly 2 hours trying to get to the point where we could “slay the dragon” for the first time. This game was one of the highlights of my trip, but make sure you allot enough time to play before purchasing. 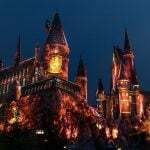 Our friend Amy at Pitstopsforkids.com has a great post on the ins and outs of MagiQuest. 14. Check out on time, but stay late. Families can enjoy the water park on the day of check out until the park closes. Luggage can be stored at the front desk or in your car during this transition time. Locker rooms boast showers (pack your own mini soaps from your room if you want to fully wash), changing areas, and bathing suit dryers. I recommend bringing a plastic bag for the suits; the dryer helps, but they will still be wet. Throughout my stay at Great Wolf Lodge, I realized something profound. Great Wolf Lodge is the kid equivalent of Las Vegas. Instead of drunken twenty-somethings pounding shots, pressing their luck for a big cash payout at the casino, and strutting their stuff at the hip pool, Great Wolf is filled with candy-crazed kids pounding Dippin Dots, pressing their luck for a big ticket payout at the arcade, and giddily running from water slide to water slide (thankfully without the strut!). A few of the other parents must have also gotten this vibe. We shared looks of solidarity. Here are a few tips for saving your adult sanity at Great Wolf Lodge. If you arrive at Great Wolf expecting peace, quiet, and a serene time with just your small family, you will not be satisfied. If you expect that your kids will want to play from sun up until midnight, will want every toy/candy/treat/game/offering onsite, and will likely have a few meltdowns in the process, you’ll be able to join them in the fun of the resort with a lot less frustration. In order to get into the water park, your family will have to walk through an underground mall/game paradise stocked with everything your child has ever wanted on planet earth. 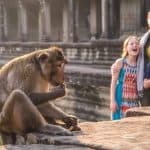 The games and extras can really add up quickly, but with some advance planning, enjoying many of these activities is quite do-able. Bundled passes offer a variety of activities, treats & adventures at a discounted price, starting at $40/person. These passes include options like Creation Station stuffed animals and games, MagiQuest wands and games, glitter tattoos, candy, ice cream, arcade points, and more. I recommend families explore the passes online before check-in when pressure to purchase a specific pass is amplified by anxious kiddos hoping to explore everything. Although there are a lot of activities on site that have an associated cost, there are plenty of free activities already included in your stay. Take advantage of these! Kids will love the dance parties, storytimes, lobby crafts, board game afternoons, morning parent & me yoga, “nature” walks through the property, and character meet and greets. A very full schedule is handed to your family at check in. When your 6-year-old is sad she can’t play any more arcade games, distract her with the free social activities happening on the lobby level. 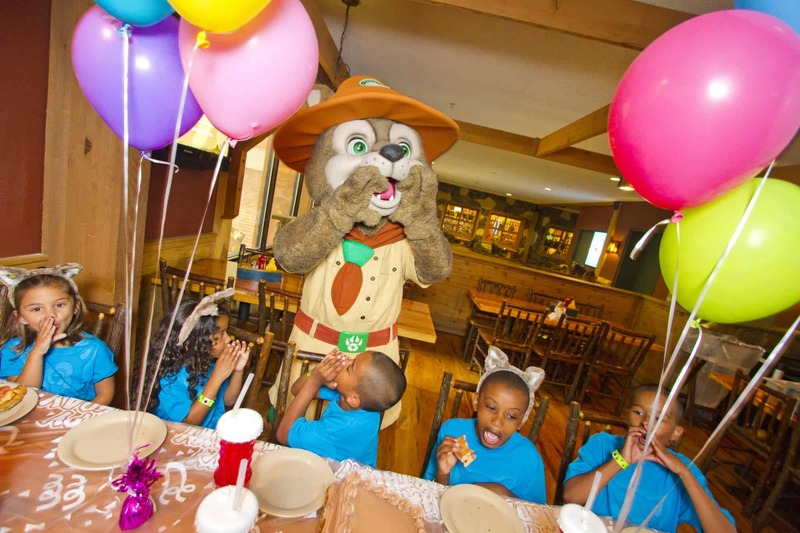 Great Wolf Lodge boasts SEVEN onsite restaurants, so you won’t go hungry. But if you are looking to save some money on dining, consider packing some of your own food from home. You can even tote a cooler through the lobby and into your room (but you can’t take it in the park). All rooms feature coffee makers, mini-refrigerators, and microwaves. Packing snacks, a few drinks, and easy breakfasts is incredibly easy. Note: Outside food is not allowed in the water park; you’ll have to take a swim break to head to your room for PB&Js if that is your plan. Packing a few meals can be a huge money-saver, but not preparing meals can be a great relaxer for moms and dads looking for a getaway themselves. Southern California features two dining options inside the water park: Buckets (think fries, hot dogs, chicken strips, etc…) and Grizzly Jack’s Bar & Grill (located outside with a bit more sophisticated flare- shrimp tacos, poke bowls, etc…). Prices are not terrible, especially on sharable items. A large serving of French Fries is just over $3 while burgers start at $5. Families can buy a refillable cup ($14) that gives free refills during the entire stay. Also onsite is Hungry Like a Wolf pizza restaurant with very reasonable prices on whole pizzas or by-the-slice options; Dunkin’ Donuts, for an afternoon pick-me-up; Bear Paw Sweets & Eats, with everything from crepes to ice cream, fresh fruit, and more; The Loose Moose Family Kitchen, a buffet with a wide assortment of options; and Lodge Wood Fired Grill, which served up one of the most delicious filet mignon steaks I have had in ages. Other than the buffet, all onsite food can be packed and taken into the water park. Great Wolf Lodge takes food allergies very seriously. 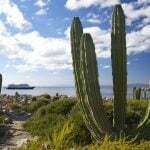 The resort recognizes that food allergies and special diets are more common than ever and they go to great lengths to make sure everyone is safe. The entire resort is nut free! Everything that goes into the fryer is gluten free to prevent cross contamination. We did run into a couple servers who were not extremely accessible/knowledgeable about food allergies during our visit, but when we asked for a chef or manager, we received amazing, careful care. Especially on busy days (we visited when the resort was at 100% capacity), the water park can get very crowded. Finding enough chairs for the whole family, keeping those chairs, and having a bit of privacy can be a challenge. Enter the cabana rental. Although it is pricey (rental prices change depending on season but start around $150/day), a cabana is a splurge worth having, especially for groups. Each day’s rental comes with chairs and a table for six, ice-cold refrigerator stocked full of non-alcoholic drinks, on-call food and beverage service (no need to wait in any lines! ), a fresh supply of towels, a television for down time, ceiling fan to cool non-swimmers, a safe for storing your valuables, and easy-peasy access to your cabana the entire day. My two older girls love adventure; they spent about 90% of their time on the big slides. My youngest is extremely timid; she spent about 90% of her time on the lazy river. I felt like I spent about 90% of my time making sure my youngest wasn’t alone, didn’t feel left out, and secretly trying to sneak off to ride a few big slides. 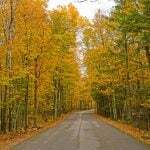 I pined for a few minutes with my hubby as we spent most of our time “dividing and conquering.” If your family is made up of varied ages or thrill gaps (as mine is), I heartily suggest bringing a friend (or even a whole family of friends) that can give everyone a like-minded buddy to hang out with. In addition to sodas, Icees, and water, Great Wolf Lodge also serves up adult beverages to help the grown ups relax a bit more. The resort offers a wide selection of wine, craft beer, cocktails, and coffee. Great Wolf Lodge recognizes that as fun as it can be, it takes a lot of energy for moms and dads to play with their kids all day. They now offer an evening “Wine Down” service. Parents can pick a time frame and receive a bottle of wine, wine glasses, opener, and even wine pairings (we had the chocolates!) to enjoy while the kiddos sleep away their exhaustion. And moms and dads don’t have to worry about the kids getting roused by the delivery; they text you to let you know they are at your door! Cheers to this happy ending! Disclosure: My family received a complimentary experience at the Great Wolf Lodge. Their hospitality is appreciated but all opinions are my own. 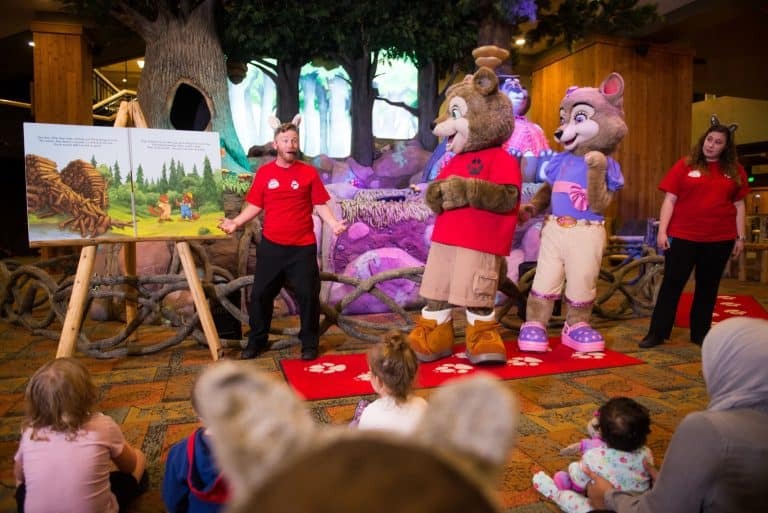 Article was adapted and built on Sharlene Earnshaw’s original “15 Must Know Tips for Great Wolf Lodge.” All images not credited are by Great Wolf Lodge. Thanks for the great guide to Great Wolf Lodge. We’re bringing our kids there next month for the first time and everyone is so excited. You’re welcome. Enjoy your trip! The passes are $40 for each day. We’re taking our 8 yr old daughter this weekend and plan to get a pass for her but I haven’t read anywhere if her father & I should get a pass or if it’s intended just for kids. We won’t have another child with us so we want to be sure we can play with her. The booked rooms should include water park entrance. If you want to get a bundled day pass for additional activities for the kids (see the bundled pass paragraph above), then it is $40/day per person.